Lucas Puig’s collaborative shoe model with adidas, the adidas Skateboarding Lucas Pro, has been released with three new renditions. These refreshing new choices for the Lucas Pro model come in a blue-on-blue, black/white and sand/navy/baby blue colourway. 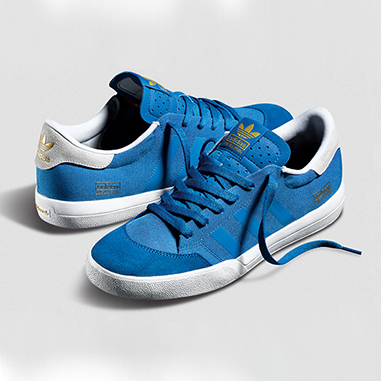 Made with the trademark SPRINTSKIN within the upper, it lightens the shoe, giving it more accessibility for skateboarders, with the gold adidas/Lucas Puig logos plastered on the flap and side of the shoe. More information can be found on adidas’ website.